Ever wonder what the fees on your HUD meant, let alone what they were? 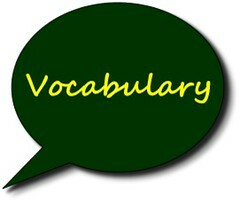 In this vocab lesson, see what it is you are really paying for. – Insurance that protects the lender (lender’s policy) or the buyer (owner’s policy) against loss arising from disputes over ownership of a property. –Taxes provide a way for the government to have the needed funds to pay up for the services that the people in the county or state utilize and enjoy. – The revenue stamps issued for payment of a tax on recorded documents such as deeds. – A tax imposed by some states or local governments on the value of intangible assets such as stocks, bonds, money market funds, mortgages and bank account balances. – The noting in the registrar’s office of the details of a properly executed legal document, such as a deed, a mortgage, a satisfaction of mortgage, or an extension of mortgage, thereby making it a part of the public record. – A fee collected by the association (collected monthly, quarterly or annually) to fund common interests and liabilities. – A sworn statement in writing. Look for lesson 9…did you really think that is all we had??? Posted on April 12, 2013, in Title and tagged Affidavits, Association Dues, Bonds, Cape Coral Title Company, County Taxes, Deed, Documentary Stamps, Fort Myers, Fort Myers Title Company, HUD, HUD-1, Intangible Tax, Jennifer Ferri, Lender's Policy, Money Market Funds, Mortgage, Owner's Policy, Property Guiding, Recording, Stocks, SWFL Real Estate, Title Insurance, Title Junction, Title Work. Bookmark the permalink. Leave a comment.